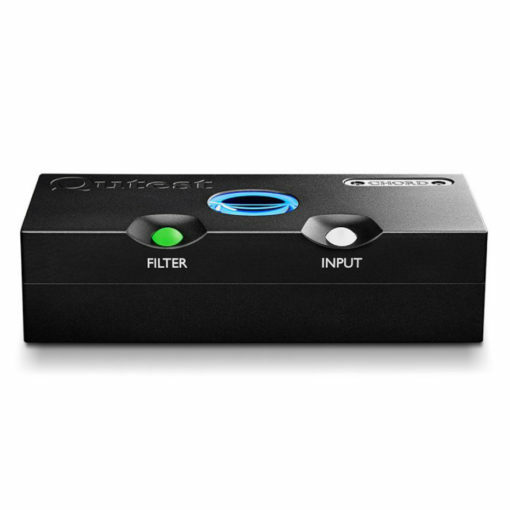 The Chord QUTEST is the latest addition to Chord’s line of DACs, replacing the 2Qute. The Qutest uses DAC technology derived from the award-winning Hugo2; unlike the Hugo2, the Qutest lacks a headphone amplifier and is not rechargeable. The Qutest provides outstanding value in a DAC designed for 2-channel systems.